A GastroPub is an establishment that serves high end locally crafted beer, expertly mixed drinks, and a small menu of gourmet food. Great emphasis is usually placed on Appetizers, Salads and Sandwiches, although there are usually only five or six of each. The Entree menu is short, often only six items. There is often a highly qualified and experienced chef creating this cuisine, which is why GastroPubs exist only in urban areas. 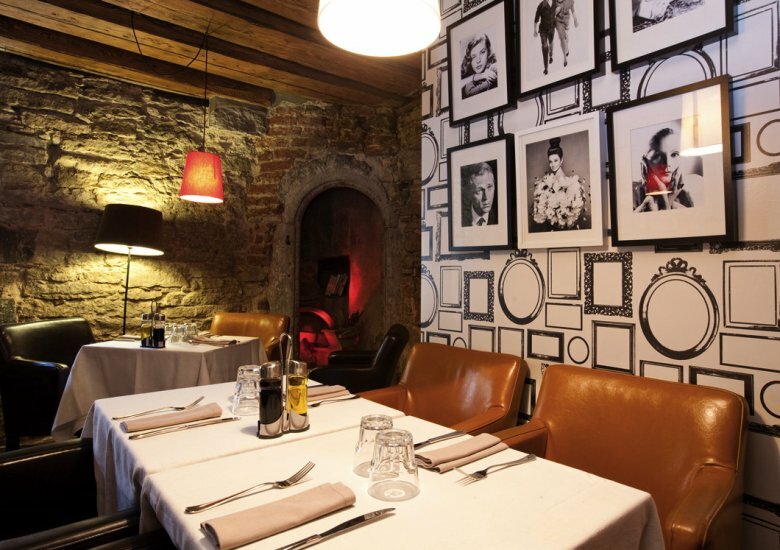 A regular restaurant does not carry the number of high end locally crafted beesr, and a traditional bar only serves "bar food" as an afterthought. 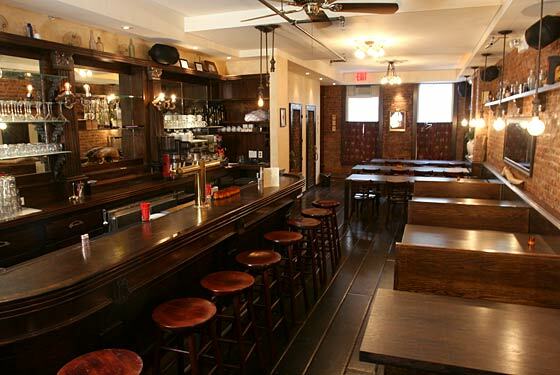 Gastropubs cater to young adults, usually college educated, in white collar jobs. Rather than the dark, often smoky ambience of a bar or night club, Gastropubs tend to be in new, sleek, well lighted, cutting edge facilities, with lots of glass, brass, bricks and windows. Lexington has embraced this category, with a dozen outstanding examples. Despite their short menus, several of the Gastropubs offer items which are among the best in town in their categories, especially among Appetizers, Soups and Sandwiches. 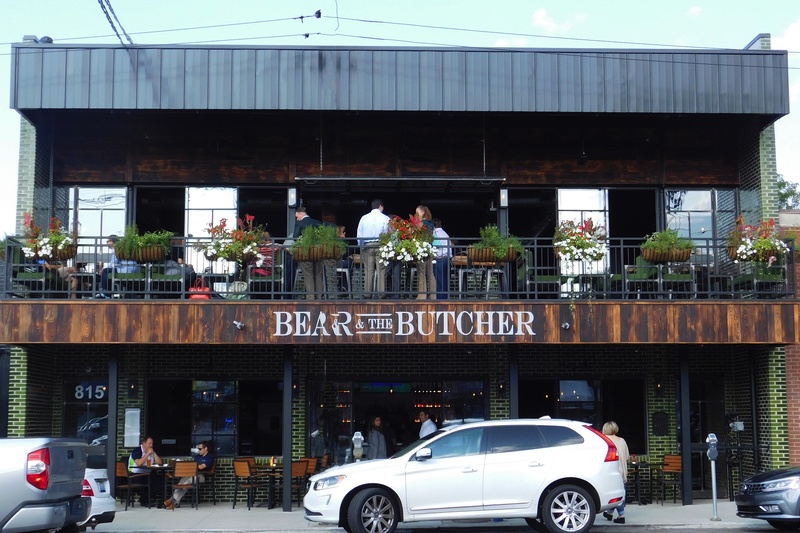 The Bear & The Butcher is a two story gastropub with a great balcony overlooking Euclid Avenue. Most patrons come here for the Beers, Wines and Cocktails. They have a good selection and some unique drinks. The big attraction over on the food side are the sausages. There are only five entrees plus a daily special, but they're all fascinating. The Sweet Italian is a mix of pork, fennel seed, oregona, garlic, marinara sauce, pappers and onions. You get to choose from grilled street corn, vinegar slaw, potato salad, pasta salad, mac & cheese or handcut Belgian fries for your side. The Texas Hot Link includes smoked beef and pork, onions and orange chipotle bbq sauce. We particularly like the Bratwurst, which includes pork and veal, marjoram, all spice, white pepper, sauerkraut, diced onions and brown German mustard. Or you could try the Yardbird (smoked chicken, shaved cabbage, pickled jalapenos and Alabama white bbq sauce). If you can't make up your mind, they offer the Sausage Board (choice of any three sausages served with pickles, sauerkraut and house made mustards. There are House and Greek Salads. You could choose a Steak, Shrimp or Chorizo Taco. A final option is your choice of a Burger, Fried Chicken, Smoked Brisket or Lamb. 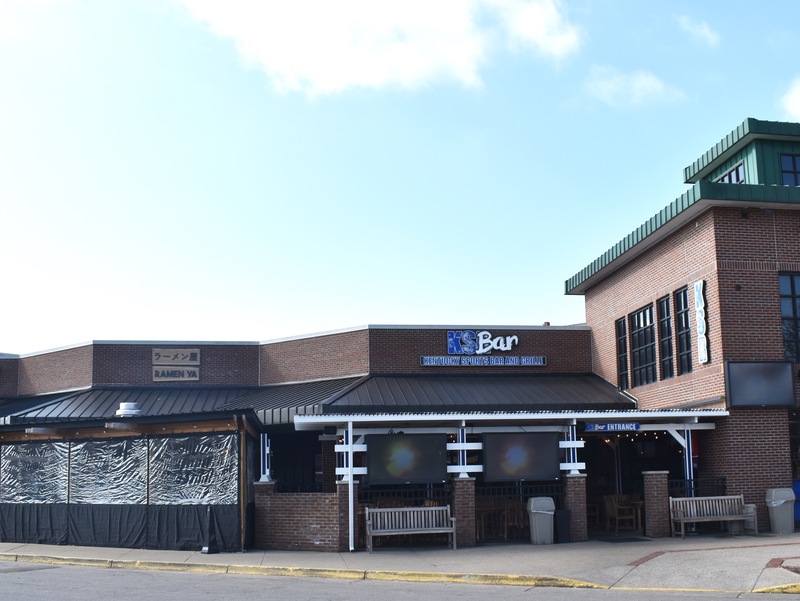 Kentucky Sports Bar is the headquarters of Kentucky Sports Radio, the statewide UK oriented radio show produced by Matt Jones. KSB is across the parking lot from Sonic on South Broadway. The interior is steeped in UK football, basketball and baseball theming. Jones, with sidekicks Ryan and Shannon, is often present, with the show itself and various podcasts produced here. As seen at left, there is three season patio seating. Inside is an array of large screen TVs. Jones says he wants this to be the best facility in Lexington to watch a game. Former UK stars, including Rex Chapman and Luzasc Obrzut, drop by often. The food here is secondary; you come for the atmosphere. However, Jones has hired cooks with talent and the food's not bad. The menu might be described as upscale bar food. The Wings, Barbeque and Pretzels are made right there and are surprisingly good. We like the Fried Green Tomatoes, Chili, Ribs, Shrimp & Grits, Catfish and the Brisket, either as an entree or a sandwich. Among the 16 sides, we like the Green Beans, Stewed Apples, Collard Greens, Cole Slaw and Sweet Potato Fries, but we have friends who swear by the Cornbread and Mac & Cheese. On game days KSB is packed and service can be slow, so come early, find a good table and chill. Food on game days is prepared in large batches and quality dips somewhat. The Beer selection is excellent. 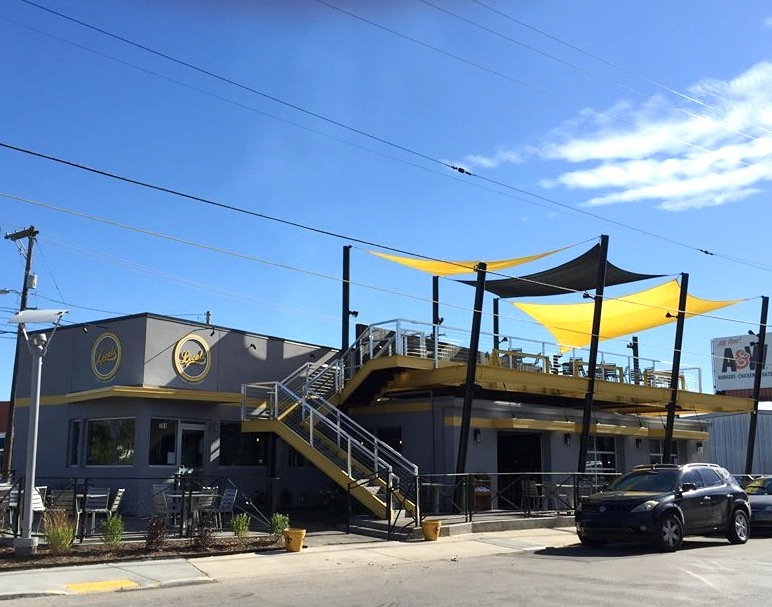 Local's, at the corner of Walton Avenue and Winchester Road, is a sleek building with rooftop patio. They have such Appetizers as Shrimp Rangoon; Roast Cauliflower in your choice of eight sauces; White Cheddar and Smoked Gouta Mac & Cheese; a superb Cole Slaw of Napa Cabbage, Red Cabbage, Garlic, Carrots and Shallots; Slow Cooked Green Beans & Country Ham; and a Baked Potato With White Cheddar, Green Onions & Bacon. Their White Chicken Chili is good, as are their various Soups of the Day. There are six Sandwiches, of which we think the best is the Kentucky Hot Brown. 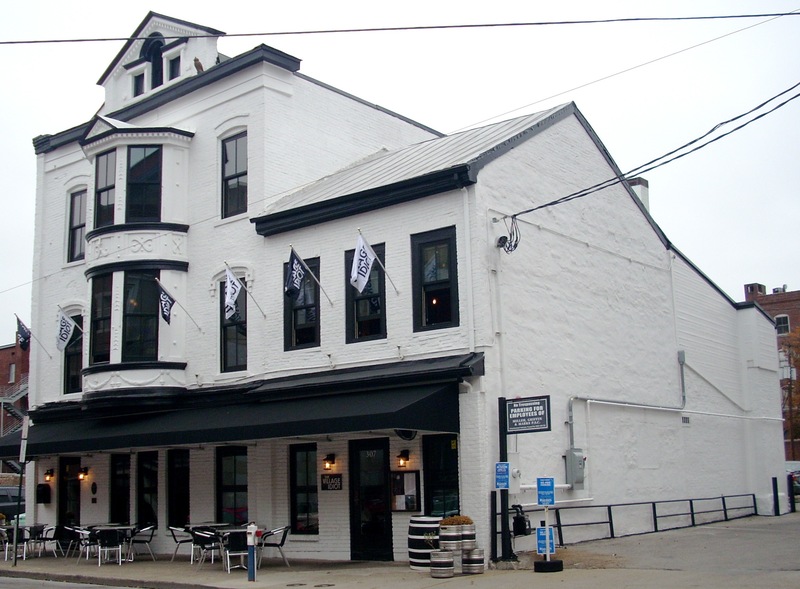 The Entree list includes Beer Battered Chicken Tenderloins, Local Vegetable Array, Whitefish, Scallops, Lamb Chops and a series of Daily Specials. Of those the Pork Chops, Meatloaf, Flank Steak and Teriyaki Salmon and Chicken are all good. Chef Darren Pirozzi makes a big deal out of Local's Kentucky Proud affiliation, meaning he uses meat and vegetables from Central Kentucky farmers whenever possible. Kentucky was once Bourbon County of Virginia, so named because the Blue Grass quickly became famous for high quality Bourbon. Barrels shipped down the river to New Orleans and up the coast to New England or across to England and Europe were stamped Old Bourbon County to certify that they contained the world's finest. The Old Bourbon County Kitchen has adopted this name. Its claim to fame is its Bourbon collection. Nowhere in Kentucky, and few places in the world, offer such a choice of great Bourbons. It includes every Bourbon, Whiskey and Rye distilled in Kentucky and Tennessee and the best from the rest of the U.S. And it includes the best from around the world : England, Canada, Ireland, Scotland, Japan, etc. These are fine selections and many of them are pricey, but if you're a true Bourbon / Whiskey / Rye fancier, OBC is your Mecca. If you have out of town guests who appreciate these drinks, this is THE place to bring them. 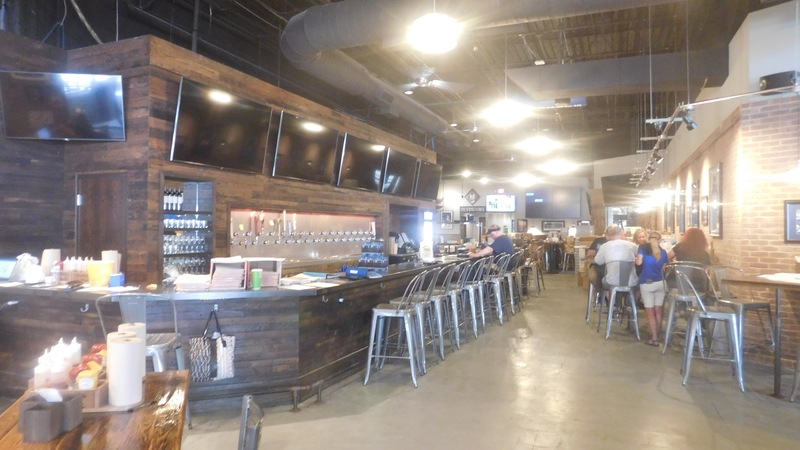 However, the Beer selection is also impressive, with two pages of Craft Beers from Lexington, the Blue Grass, the Region, the U.S., and key foreign brewing countries like England, Belgium and Germany. Decor is classic Blue Grass : old barn wood and deep leather. As usual in Gastropubs, the food is pricey but good. Appetizers include Smoked Mac and Cheese, Kale Salad, Mexican Street Corn, and Weisenberger Mill White Corn Grits. Entrees feature Kentucky classics like Cornmeal Fried Catfish, Dry Cured Ham, Tomato Watermelon Salad, Smoked Shrimp & Grits, Grilled Hangar Steak, Braised Short Rib With Weisenberger Mill Corn Grits, Wood Grilled Steak Burgers, Hickory Smoked Sorghum Glazed Chicken Wings, and Lemon Garlic Braised Chicken. There are contemporary items : Pork Belly Tacos, Pan Seared Crab Cake, Short Rib Tacos, and Balsamic Glaze Halibut. There's only one Dessert, but it's one of the city's finest : Three Ice Cream Sandwiches, made of strawberry cheesecake ice cream, mocha ice cream and vanilla bean ice cream held between large sea salt chocolate chip cookies. 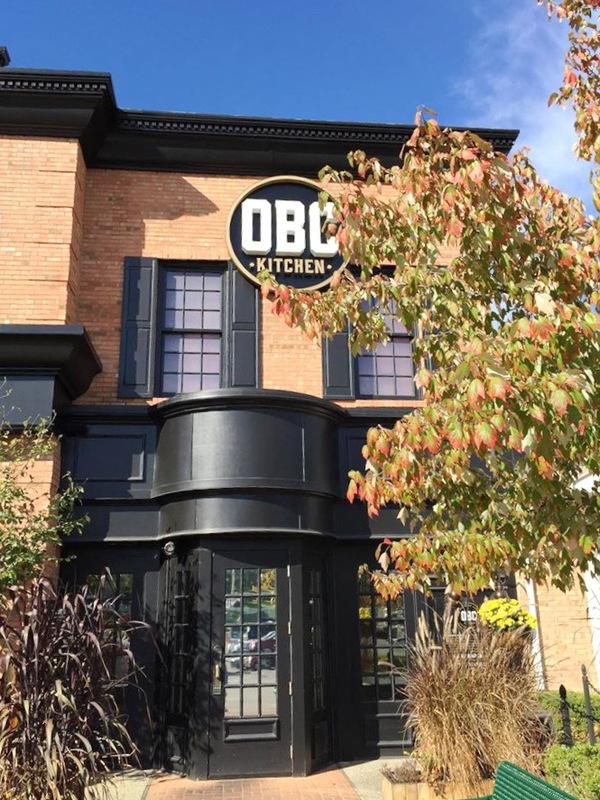 OBC is in Lansdowne Center, Tates Creek Road, just to the right of Sal's Chop House. The Village Idiot is certainly a historic experience. The building dates from 1810. It was the original Lexington Post Office, and is on the National Register of Historic Places. Converting it to a pub presented challenges, which they have solved very creatively. It's worth visiting just to see the building. The food, however, is unexpectedly good. They've taken it seriously enough to hire two certified and experienced chefs and stock an impressive cellar of wines, spirits and beers. You can order some cutting edge items here : Pork Belly with sauce and kimchee, gourmet popcorn, Cheese Waffles, Scotch Eggs (hard boiled eggs deep fried in ground beef), Roast Brussels Sprouts (with bleu cheese, potatoes and onions), Smoked Trout, Sloppy Joes, Mussells, Seared Scallops and Country Ham. 307 Short Street. 381-9493. From the Hyatt, walk two blocks north on North Broadway, turn right on West Short Street, and look for the Village Idiot at the end of the block on your left.